Opens Tuesday: 🚁 MISS SAIGON lands on 5/7 12:30 AM - 1:00 AM GMT If you've purchased tickets, be sure to double check your performance date & time. Keep an eye out for our 'Know Before You Go' email with details on how to prepare for your visit to the Hobby Center. 📅 Don't Forget to Exchange Your MISS SAIGON Tickets 3:00 PM - 4:00 PM GMT Ahead of your performance, we want to remind you that MISS SAIGON has a 48-hour exchange policy. If you need to exchange, you will need to do so 48 hours prior to the performance date on your ticket. Exchange here: https://am.ticketmaster.com/ccethou/. 📅 Don't Forget to Exchange Your DISNEY'S ALADDIN ✨ tickets 3:00 PM - 4:00 PM GMT Ahead of your performance, we want to remind you that Disney’s ALADDIN has a unique 72-hour exchange policy, as noted in your subscriber handbook. This means if you need to exchange, you will need to do so 72 hours prior to the performance date. Opens Wednesday: 💜 ALADDIN flies into Houston 6/26 12:30 AM - 1:00 AM GMT Be sure to double check your performance date & time. 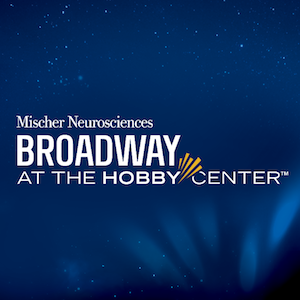 Keep an eye out for our 'Know Before You Go' email with details on how to prepare for your visit to the Hobby Center. Opens Tuesday: 🎤 RENT starts 8/6 12:30 AM - 1:00 AM GMT Be sure to double check your performance date & time. Keep an eye out for our 'Know Before You Go' email with details on how to prepare for your visit to the Hobby Center. 📅 Don't Forget to Exchange Your RENT 🗽 Tickets All day event GMT Ahead of your performance, we want to remind you that RENT has a 48-hour exchange policy. If you need to exchange, you will need to do so 48 hours prior to the performance date on your ticket. Exchange here: https://am.ticketmaster.com/ccethou/.